A friend of mine, from sculpture class is realy into the structure of gems, which always worked its way into her peices. This inspired me to create a necklace based off of her sculptures. 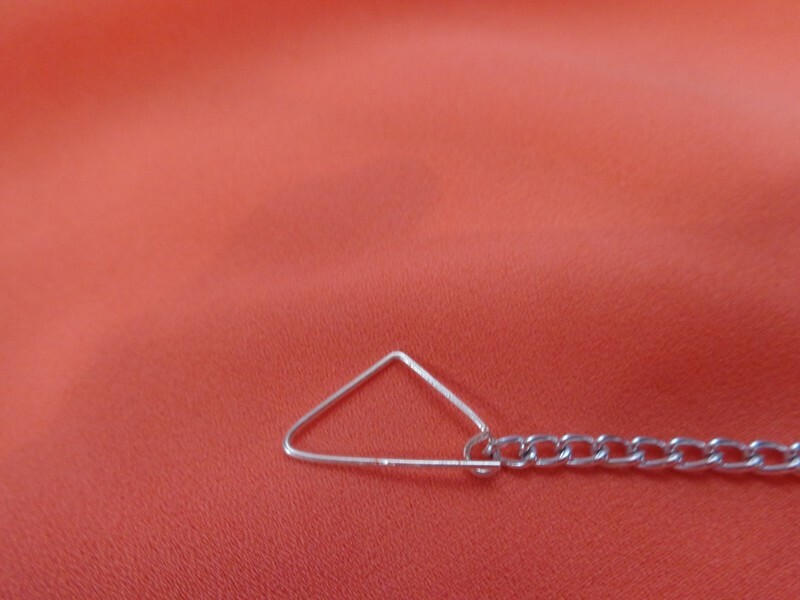 Use a pair of round nosed pliers to loop the end of a head pin. 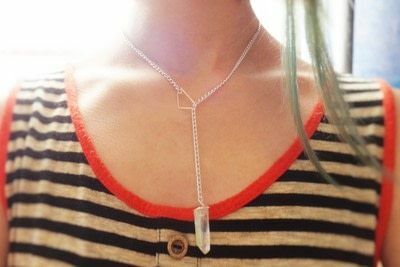 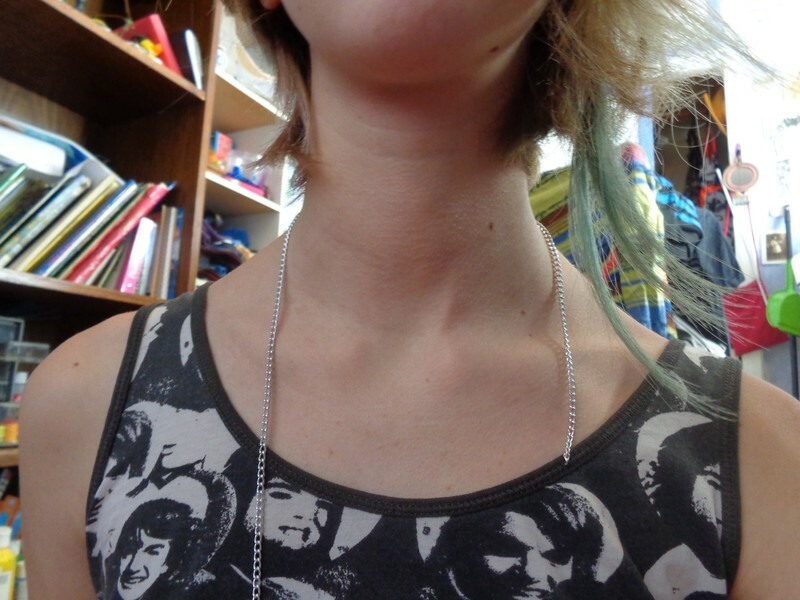 Measure and cut a piece of chain to be about yae big around your neck. 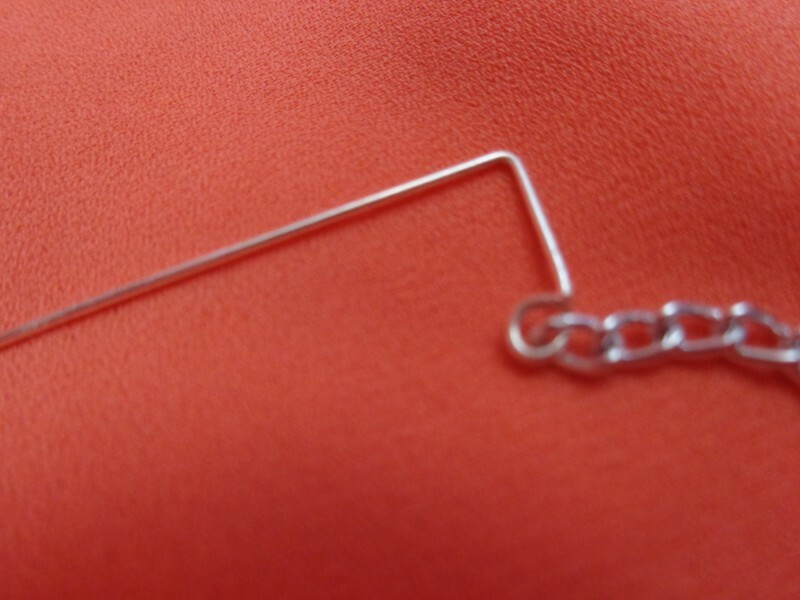 Attach the loop of the head pin to an end of the chain. about a third of the way along the head pin bend the wire, useing pliers, at a 90 degree angle. Do the same about half way from the remaining head pin, but bend it until you create a full triangle. 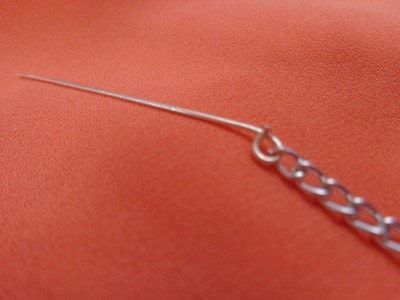 Take a gem bead of your choice and skewer it with another head pin. 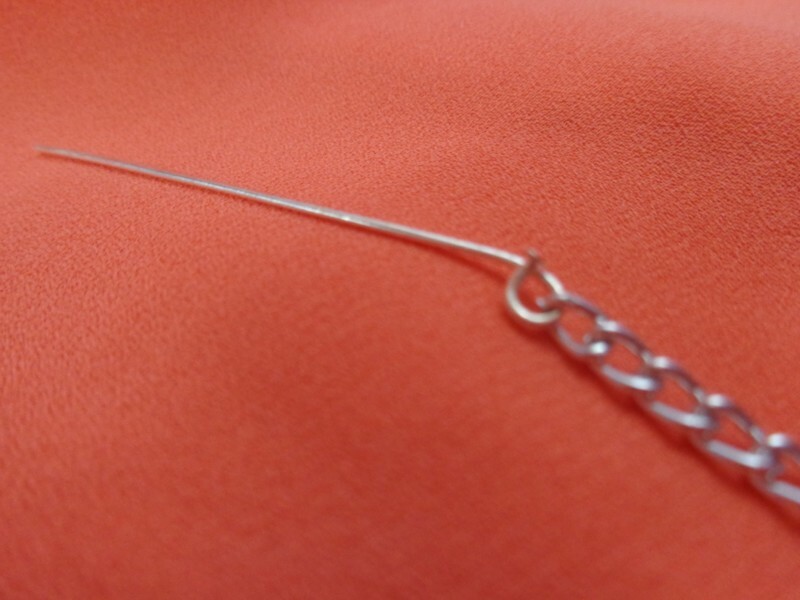 Using pliers, loop the head pin around the gem, while leaving a little remaining at the end. 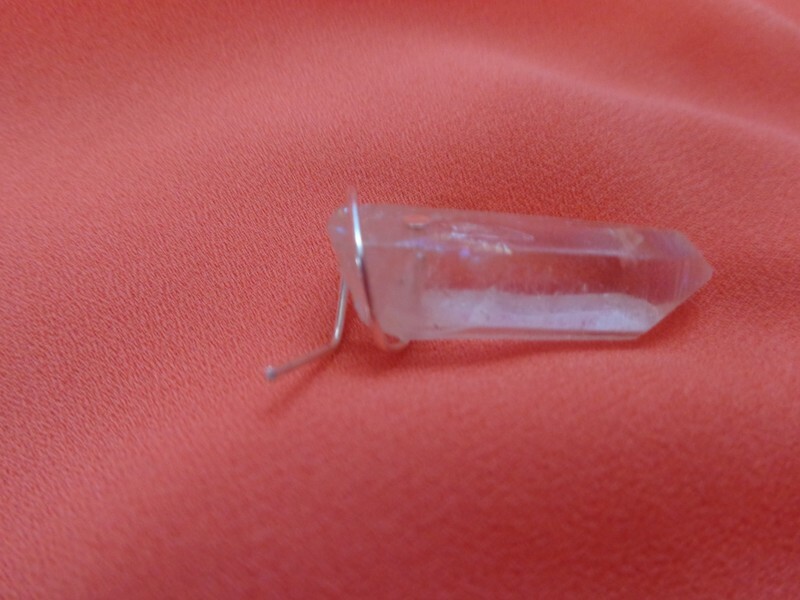 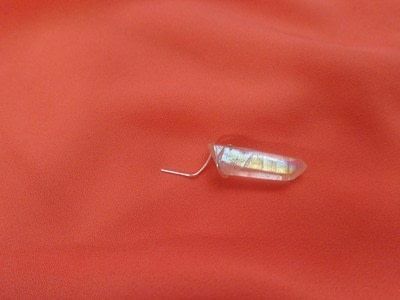 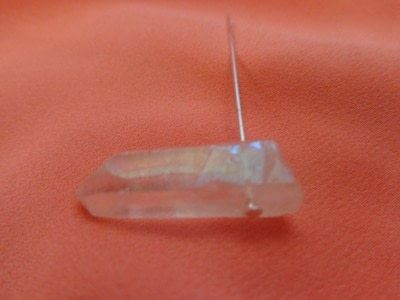 Bend the remaining wire so that it is aligned with the gem.